While it might be a bit expensive to buy the equipment you need to get yourself into space, the Sense HAT – two of which are currently on the International Space Station as part of the Astro Pi project – is a fair bit cheaper. We’ve been covering the fantastic sensor board in the magazine since its release, and now we’ve put together the ultimate collection of resources so that you can learn how to use the Sense HAT here on Earth. 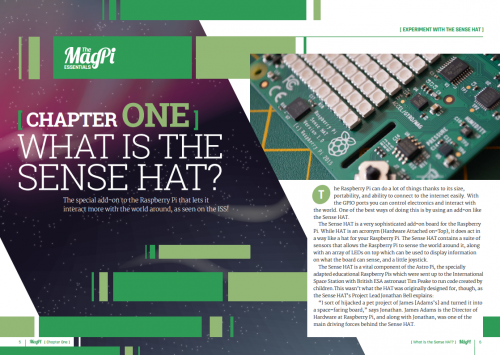 Experiment with the Sense HAT is our latest MagPi Essentials digital book, available for free online and for only £2.99 in our Android and iOS app. 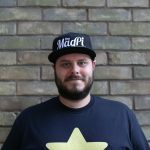 In it, we cover the basics on how to get started with your Sense HAT, including using all the different sensors and the LED matrix. There’s also several different tutorials and other projects to try out yourself that will hopefully inspire you to do even more. …and much more. You can get Experiment with Sense HAT digitally from our Android and iOS app, and you can also download the PDF for free. Set course for the final frontier: it’s space time! Experiment with the Sense HAT is freely licensed under Creative Commons (BY-SA-NC 3.0). 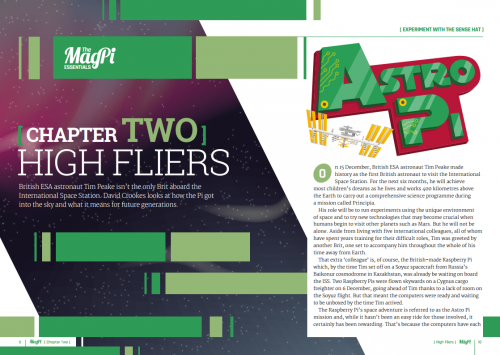 You can download the PDF free now and forever, but buying in digital supports the Raspberry Pi Foundation’s charitable mission to democratise computing and educate kids. [OT] Sorry Toby, but spell-checks aren’t a final answer – use a Dictionary! defiantly->definitely (root words defy, define respectively). Noted same error in a previous post. Educational exercise: find and read “Ladle Rat Rotten Hut”. Maybe he really does want one, defiantly. I’ll take it however I can get it. Beg to differ with that root word analysis as well. Since the book is released under a creative commons license, are the source files for the PDF freely available? If so, where can we find them? Are they on GitHub? Many thanks for a great resource! is the code in this available?